Since I had an older version of XAMPP for Windows installed, it was still using openssl 1.0.1e in which the heartbleed vulnerability was not yet fixed. So I installed the latest version and since the certificate in there was from 2013 I was not really sure whether it was safe or not so I decided to generate a new one. Here’s a short description how to do it. Note that since we are generating a self sign certificate, we can combine these 3 steps into 1 as described here. Once the certificate is generated you can install it as shown here. You should of course use the appropriate data instead of localhost and dot (which means empty field). Also choose a different challenge password than mypassword. You probably do not need the -nodes option since it only applies when using openssl to generate a key using the req command. But I’d rather use it here although I do not need it than forget it when generating both the key and the certificate in a single step using the req command. it means you forgot to set the second environment variables as shown in the beginning of this post. 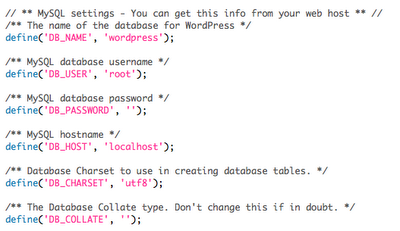 You should of course use the appropriate data instead of localhost and dot (which means empty field). After a restart of the Apache web server, your new certificate will be available. And the errors were gone ! After first using XAMPP, I moved to MAMP. 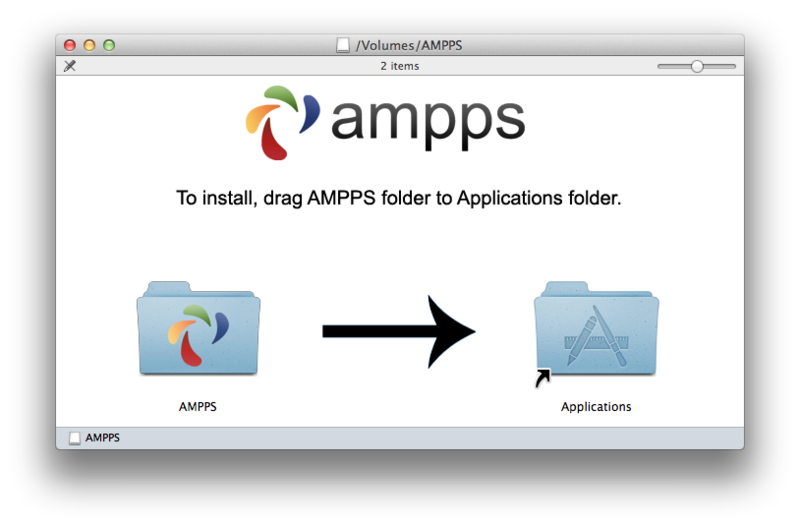 And just noticed another interesting AMP tool called AMPPS. 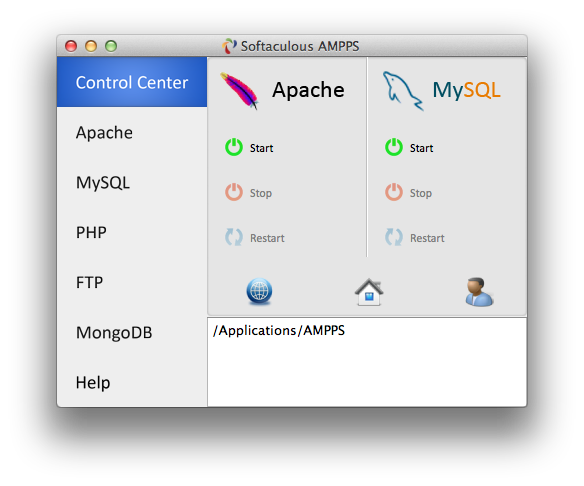 AMPPS stands for Apache, Mysql, PHP, Perl, Python and Softaculous auto-installer. This is basically an alternative to WAMP, MAMP and XAMPP for Windows and Mac OS X. It’s quite a new tool (version 1.0 was released in August 2011) but with quite frequent updates and it’s free ! Installing it will take up 676.5 MB of your harddrive. This is quite a lot but it does include 264 scripts to install software like WordPress, Joomla, Drupal, Typo3, phpBB, MediaWiki, SquirrelMail, Roundcube, Mantis Bug Tracker, osTicket, Zend Framework, CakePHP, phpMyAdmin, jQuery and Dojo. It can also update them all automatically (but you can turn it off). 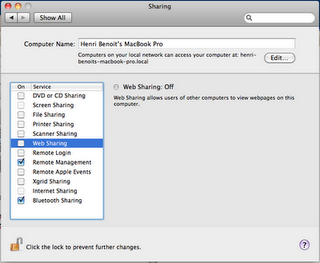 You can also click on one of the other tabs to get access to configuration files or log files. Click install after you’ve entered the required data. 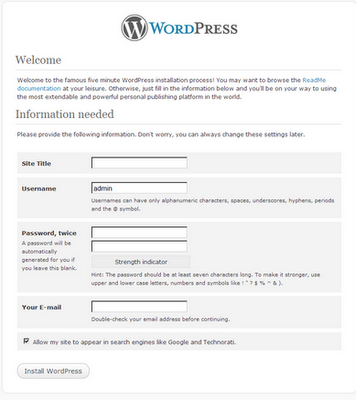 And you can start working with your local WordPress installation. Installing WordPress in MAMP or XAMPP isn’t that difficult but AMPPS really beats them both regarding ease of installation ! 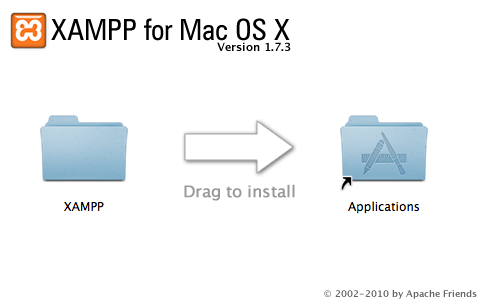 I wrote some time ago a post about how to install WordPress on Mac OS X. I used XAMPP as a basis. 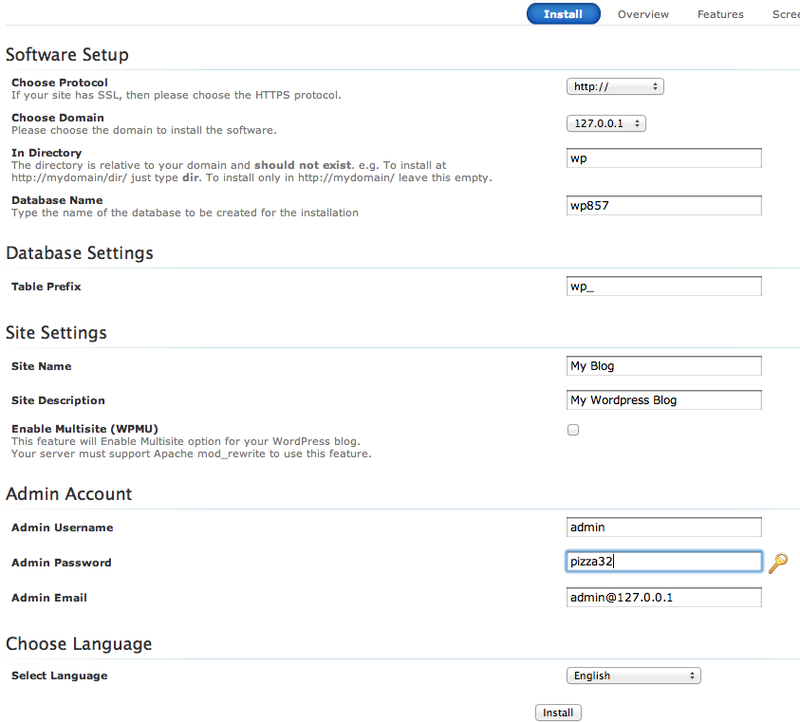 But currently I’m using MAMP to host wordpress. 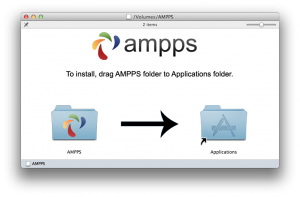 XAMPP and MAMP are both quite similar. 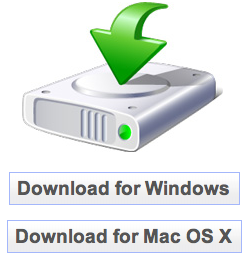 Both of them are self contained so neither touches the default OS X Apache/PHP installation. Both are extremely easy to install. Neither require any command line commands to setup. So both they can safely be tested and removed. You may even install both but you may only run one of them at a time (unless you edit the httpd.conf file for either XAMPP or MAMP and change the port it listens to). Lately, MAMP seems to get updated more regularly, looks a little more mac-like, has a Dashboard Widget and works without administrator privileges. On the other hand, XAMPP has many extensions built-in. Also XAMPP components can be started from a GUI or from the command line. MAMP requires the use of the GUI to start/stop it but its GUI does provide a configuration UI (e.g. where the ports can be set). Conclusion: I’d say MAMP is still the better choice for web designers or PHP programmers who just want to run WordPress or Joomla and make settings using a graphical user interface. If extensive configuration options is a must, you should consider giving XAMPP a try. 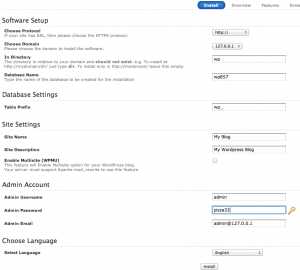 In this post, I’ll explain how to install WordPress locally on a Mac OS X machine. XAMPP is an Apache distribution containing MySQL, PHP and Perl. It makes it much easier to install them. 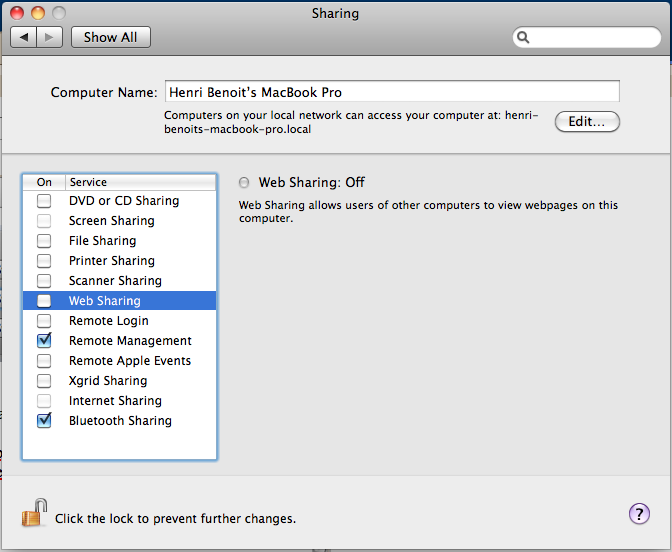 The Mac OS X package can be downloaded from here. After downloading it, open the dmg archive and just drag the XAMPP folder to the Application folder to install it. 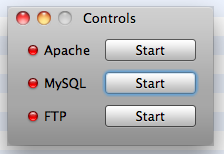 XAMPP will host our web folder and using the XAMPP console, we’ll be able to start/stop Apache HTTPd and MySQL. Now start both Apache and MySQL. When starting Apache, you might be asked to authenticate. This will be required everytime you start or stop Apache. You should then be able to start the Apache web server. This will kill all running instances of MySQL. After that I was able to start MySQL from the XAMPP console. 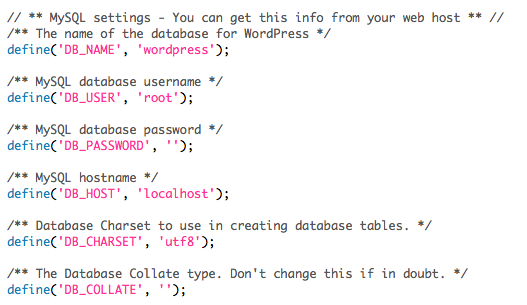 After clicking Create, the database you need for wordpress will be created.